Like a lot of tree aphids, members of this genus are beautiful, with odd shapes and protuberances, sometimes wax-coated, sometimes not. Almost all the species of this genus live on maples (genus Acer), and all are native to the Nearctic. There is a very nice paper covering all species of the genus by Smith and Dillery (1968), which allows relatively confident species identification. So far I have identified 7 species from my collections. This was the first really dramatic aphid I looked at under a microscope, in about 1988. It was found on silver maple, Acer saccharinum, by my university advisor Gary Reed. 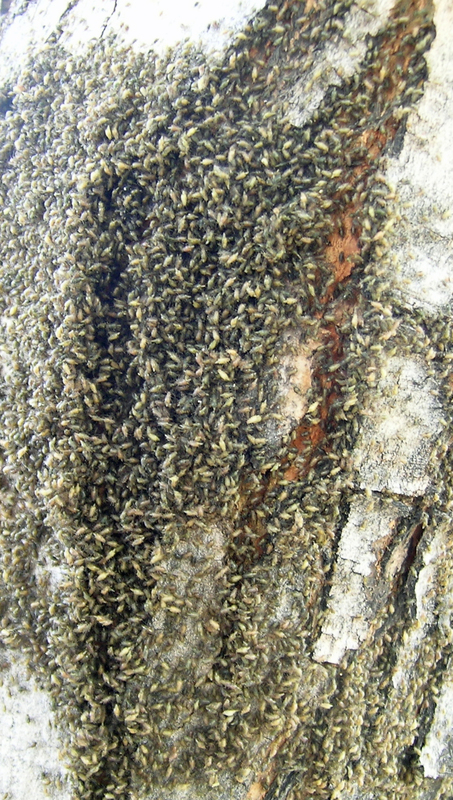 Drepanaphis oviparae on silver maple trunk. 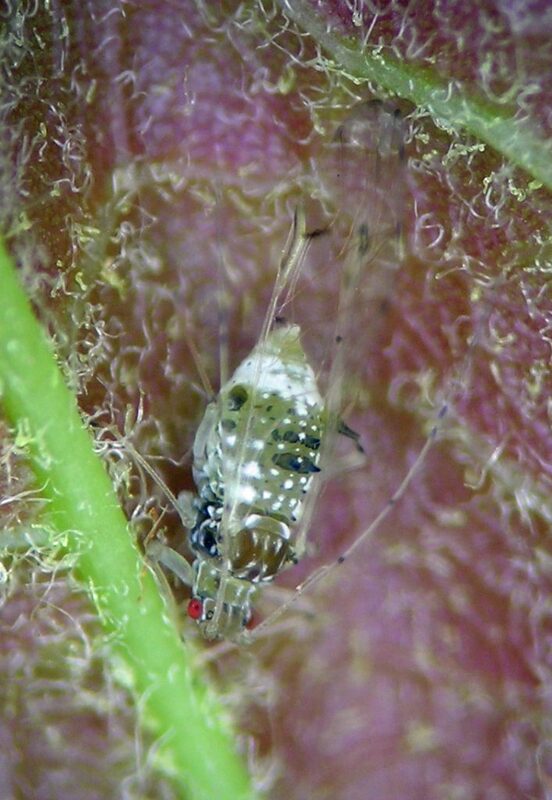 We were sure it was an aphid, but were both learning aphids and had no idea what it was. 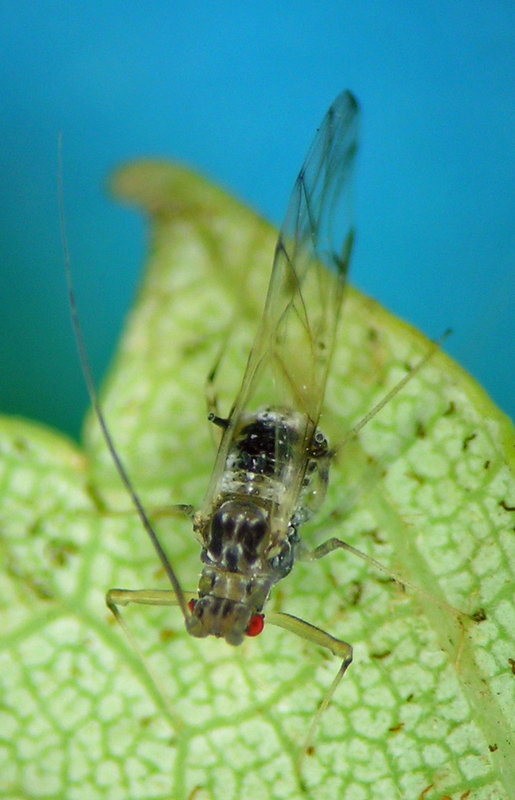 The waxy pigmentation, the bright pink eyes, and the dorsal spikes were not like any other aphid we’d seen. 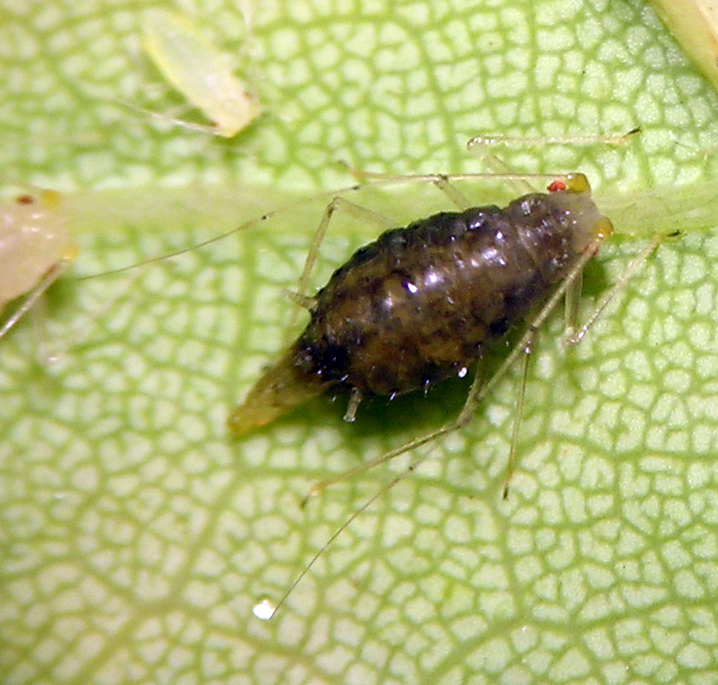 Since then, I’ve recognized this as one of the most common maple-feeding aphids on ornamental trees in the western U.S.A. One of the most amazing aphid sights I’ve ever seen was near our Eagle, Idaho house a few years ago — the silver maples in the neighborhood were incredibly beset with this aphid int eh fall, producing millions of oviparae. 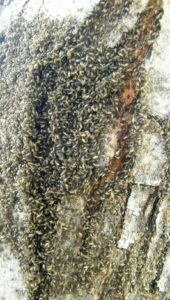 There were so many oviparae that they coated the trunks and branches, and crawled on everything in the neighborhood. 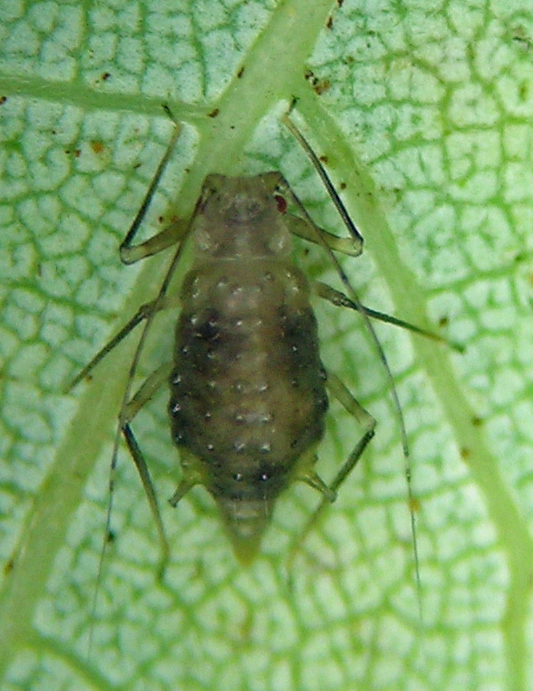 Most of my samples of this aphid are from cultivated trees on city streets, with one exception collected on wild Acer grandidentatum in the hills above Salt Lake City, Utah. In October of 2010 I was lucky enough to get some good specimens for photographs. Enjoy! 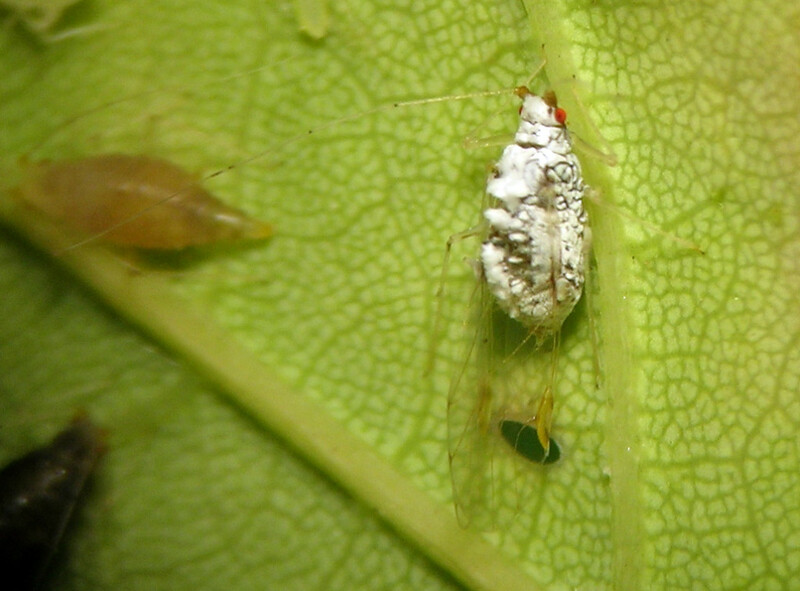 Drepanaphis idahoensis alate vivipara on an ornamental maple in Pullman, Washington. Drepanaphis idahoensis ovipara on an ornamental maple in Pullman, Washington. 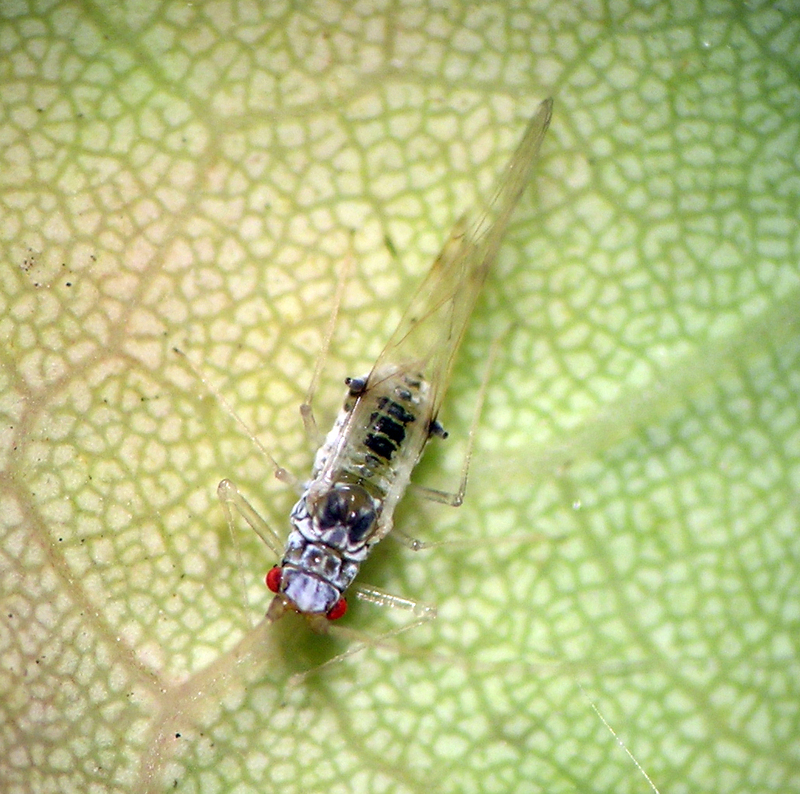 Drepanaphis idahoensis alate male on an ornamental maple in Pullman, Washington.